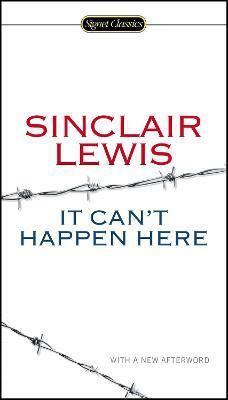 The son of a country doctor, Harry Sinclair Lewis (1885-1951) was born in Sauk Centre, Minnesota. His childhood and early youth were spent in the Midwest, and later he attended Yale University, where he was editor of the literary magazine. After graduating in 1907, he worked as a reporter and in editorial positions at various newspapers, magazines, and publishing houses from the East Coast to California. He was able to give this work up after a few of his stories had appeared in magazines and his first novel, Our Mr. Wrenn (1914), had been published. Main Street (1920) was his first really successful novel, and his reputation was secured by the publication of Babbitt (1922). Lewis was awarded a Pulitzer Prize for Arrowsmith (1925) but refused to accept the honor, saying the prize was meant to go to a novel that celebrated the wholesomeness of American life, something his books did not do. He did accept, however, when in 1930 he became the first American writer to receive the Nobel Prize for Literature. During the last part of his life, he spent a great deal of time in Europe and continued to write both novels and plays. In 1950, after completing his last novel, World So Wide (1951), he intended to take an extended tour but became ill and was forced to settle in Rome, where he spent some months working on his poems before dying. Michael Meyer, PhD, a professor of English at the University of Connecticut, previously taught at the University of North Carolina at Charlotte and the College of William and Mary. His scholarly articles have appeared in such periodicals as American Literature, Studies in the American Renaissance, and Virginia Quarterly Review. An internationally recognized authority on Henry David Thoreau, he is a former president of the Thoreau Society and the coauthor of The New Thoreau Handbook, a standard reference. His first book, Several More Lives to Live: Thoreau's Political Reputation in America, was awarded the Ralph Henry Gabriel Prize by the American Studies Association. In addition to The Bedford Introduction to Literature, his edited volumes include Frederick Douglass: The Narrative and Selected Writings. Gary Scharnhorst is Distinguished Professor Emeritus of English at the University of New Mexico, editor of American Literary Realism, and editor in alternating years of American Literary Scholarship.